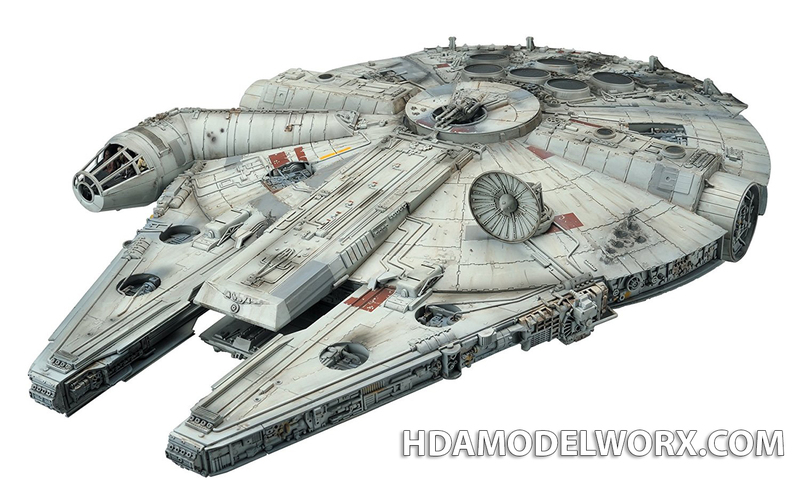 Rebels with a cause: The Millennium Falcon™ was made by the Corellian Engineering Corporation. It was constructed as a spec YT-1300 Light Freighter and modified by smugglers, becoming the Stellar Envoy. Then, after a few more owners and a crash, Han Solo won the Millennium Falcon™ from Lando Calrissian in a card game. For Solo and his Wookiee copilot, Chewbacca, it was the perfect ship for their smuggling exploits through the galaxy. However, it wasn't long before they got embroiled in the rebellion. Kit features display stand, landing gear up or down, and scale figures. 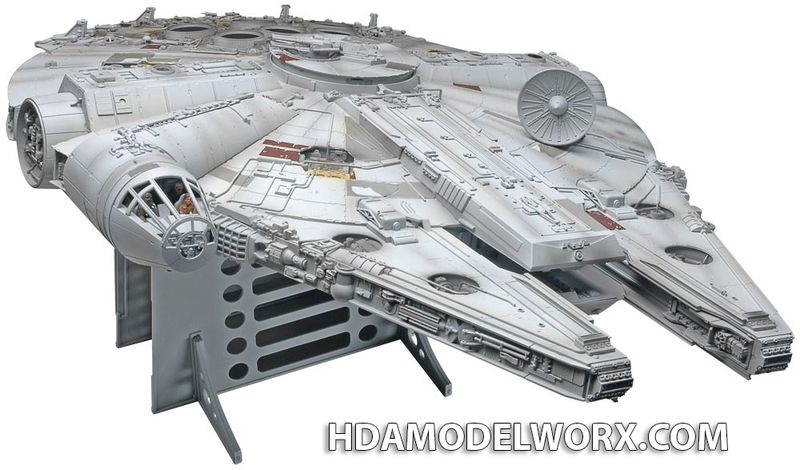 THIS IS THE RE-RELEASED FINE MOLDS VERSION OF THIS KIT UNDER THE REVELL BRAND IN A NEW BOX. 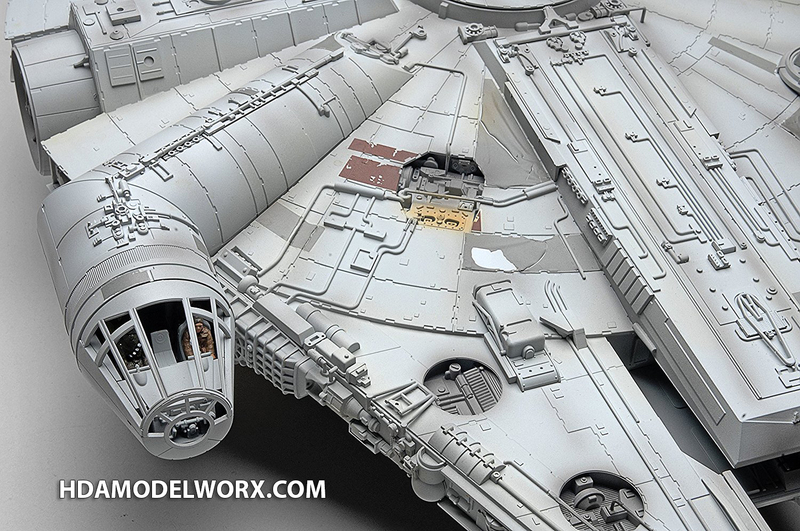 DOES NOT INCLUDE ALL THE EXTRA BOX MATERIALS AND DOCUMENTATION AS THE FINE MOLDS. 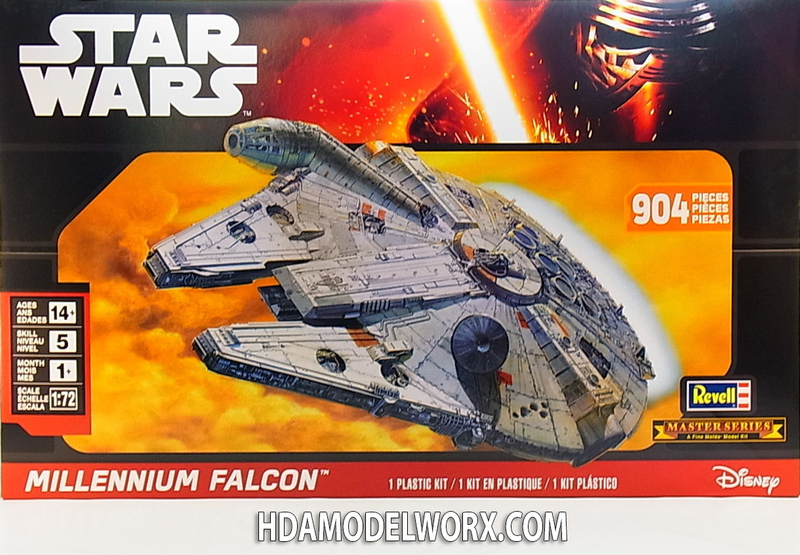 THE MODEL KIT IS THE SAME WITH OVER 900 PIECES.